The Worldwide Developers Conference is where Apple outlines new features for the iPhone, Mac, iPad, Apple Watch, Apple TV, HomePod and the rest of its hardware line. Expect news on iOS 12 and much more. "A tool I think many of us love is markup." "You see down here I have a permission slip ... now I have the option to invoke markup. I click and now have access to my markup tools, as well as my ability to sign this document." 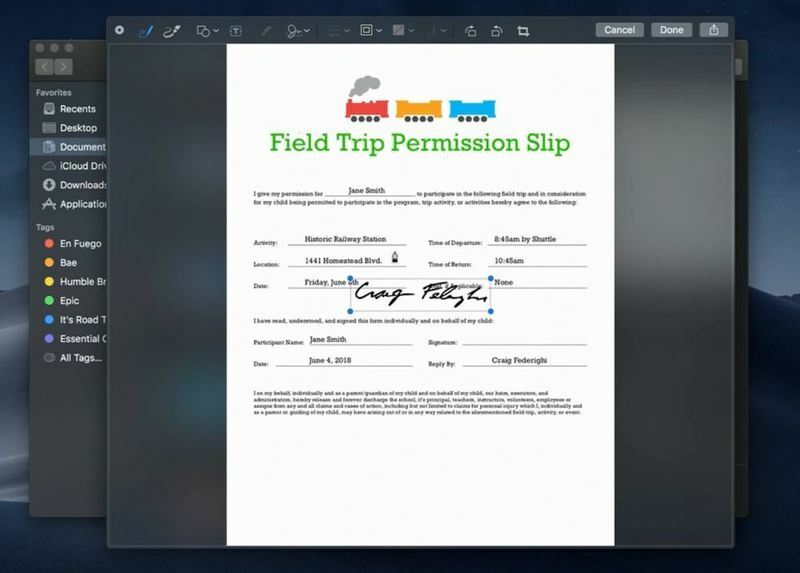 "This works for all kinds of files. 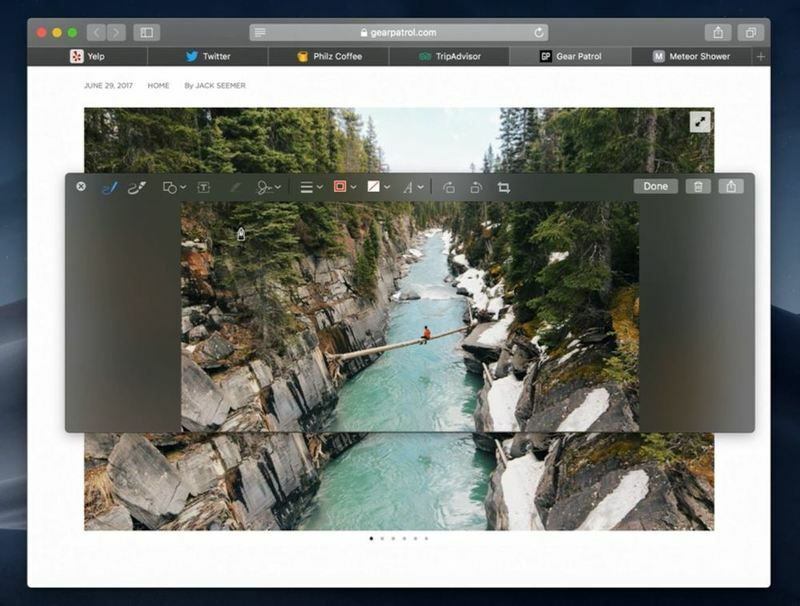 .. With video I can even trim right here inside of Quick Look." "Next I want to talk about how we capture on our Mac. 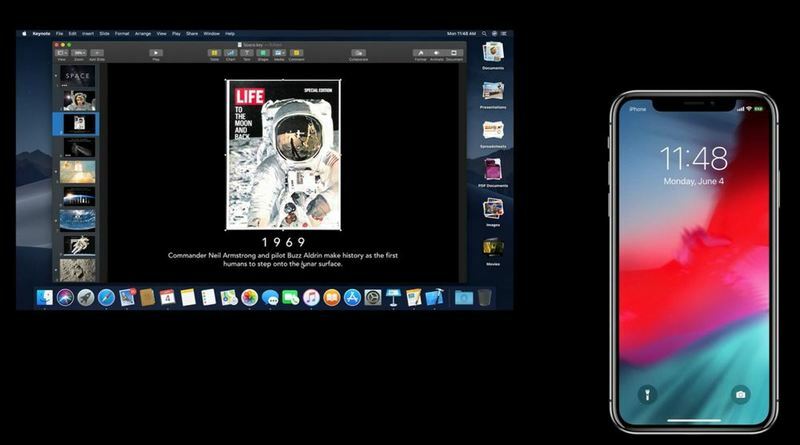 We've made screenshots more powerful than ever in Mojave." Screen capture for video in macOS is my new favorite thing. Can record an area instantly. "We further enhanced the way you capture content, and that brings us to Continuity." "when it comes to capturing content, we all walk around with one of the best content capture devices in the world in our pockets. our phones." 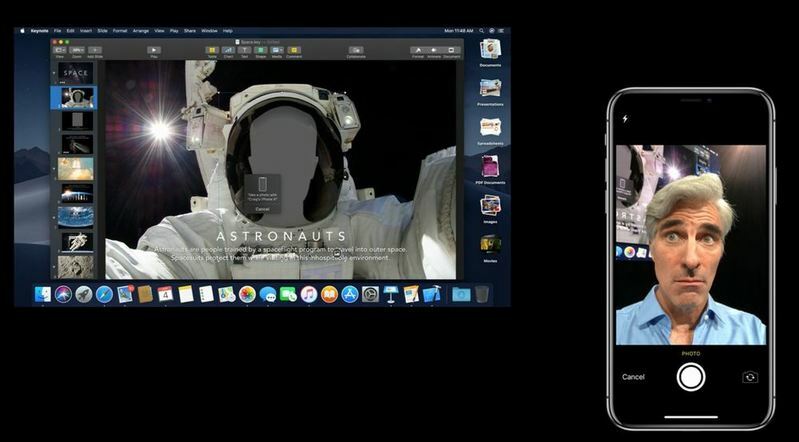 Continuity Camera - In Keynote app, there's a space for a photo. Click on it, and it will automatically light up your phone, so you can take the photo and it instantly appears where it needs to be in the slideshow. "You can take photos, stills and even capture video." "You get top stories picked by our editors, trending stories, personalized for you. You also get this great new sidebar where you can drill in and jump right to the topics and channels you follow. We also have Stocks coming to the Mac." 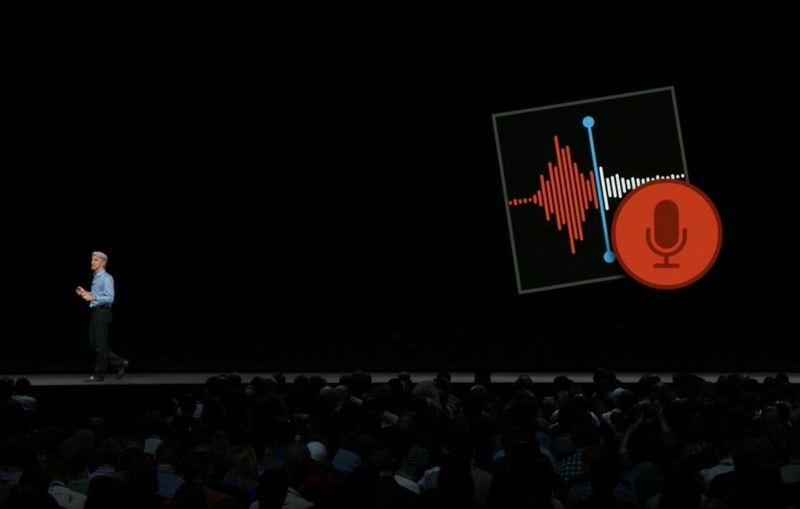 "We're also bringing Voice Memos to the Mac. Voice Memos is the most popular voice recorder on iOS." Voice Memos: nice. I use that app all the time. "Now that Voice Memos syncs via iCloud, you can take those recordings you make and drop them right into Garageband." "Those are 4 great new apps coming to Mojave." "We believe that your private data should remain private. ... To begin we protect your information on your devices using state-of-the-art hardware and software." "Today Apple devices check in with you before granting an app access to things like your location." "Now on Mojave, we're extending these protections to include your camera and your microphone as well as protecting sensitive parts of your file system." "All of this is protected by default on any app you run." 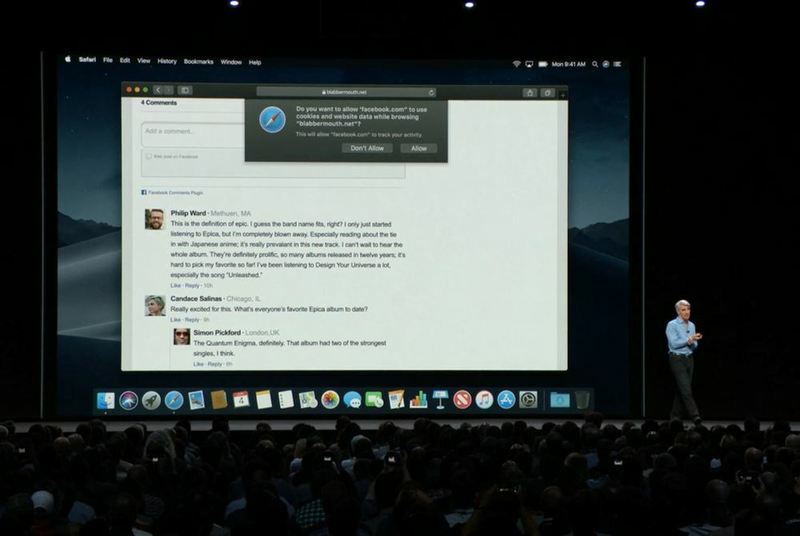 "Next I want to turn to some great enhancements to Safari. Last year we introduced dramatic tracking detection. ... This is the thing where you look at a product on one site and it follows you wherever you go." It turns out comment fields, share buttons can be used to track you even if you don't click on them. "With Mojave we're making it much harder for trackers to create a unique fingerprint." Will have simplified system configuration, etc. 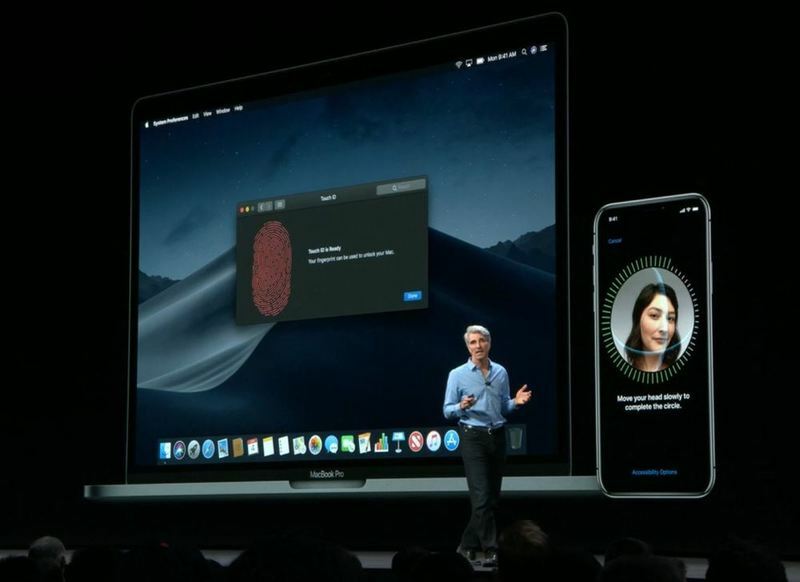 Your Mac will look like everyone else's Mac, and it will be much harder for data companies to identify and track you, Federighi said.